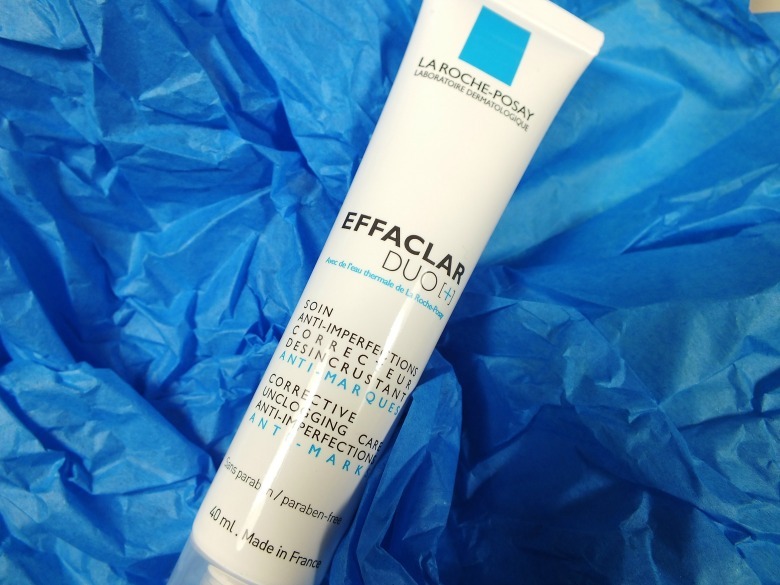 My experience with Effaclar Duo [+] is my first with La Roche-Posay and it's been a month or two since the reformulated blemish busting product landed on my doorstep. The Effaclar Duo is a hero product for many and the [+] version was receiving rave reviews and like me you will have likely seen a Bloglovin feed filled with reviews along the lines of 'best product ever' and at first I really couldn't work out what the hype was. I have normal to combination skin which is pretty much blemish free. If I've slipped on the cleansing front after a night on the tiles or it's that time of the month I'll have a few spots pop up but other than that I'm pretty lucky. I'm also fairly skeptical about products for spot prevention because how can you tell if the product is helping and/or nature is taking effect - is there really a product that will do what it says on the tin? The Effaclar Duo[+] is designed to unblock pores, correct the appearance of imperfections and help diminish the redness some spots leave behind. My initial use of the product were simply blah. It was a nice, pleasant serum I applied morning and night before moisturiser but beyond that I had little to say. Because my skin was in a good place I wasn't able to see any benefits that were talked about… then one of those lax moments occurred and one of those unpleasant under the skin spots appeared. Initially I didn't see any difference and then I did the worst thing one can do with their spots - I went in for a squeeze. To border on gross territory with no head on the spot all I managed to achieve with creating a big red mess in the centre of my cheek, marvellous. Lesson learned I decided to stick with the Effaclar Duo and let it do it's thing and give it a thorough testing. Yes the redness diminished and reduced in size somewhat but I still have it today as I type admittedly smaller and less red but it didn't disappear completely but am I disappointed with this result? The answer is not at all. My skin is literally in the best state it has ever been. Aside from the existing blemishes which I take responsibility for hindering the process of my skin is looking amazing. Smoother, clearer and for the first time ever I had that time of the month without one new spot appearing - this is unheard of in my 30+ years. A few hormonal blemishes were something I had come to terms with as just something us women have to deal with but not any more. I'm using less concealer and/or foundation due to the condition of my skin and I've never been more dedicated to my skincare regime as I don't want to risk unnecessary break outs when I'm in such a good place. I also have the odd blemish on my chest and have been applying the Effaclar Duo to this area, avoiding the temptation to squeeze and again the redness has become less obvious and the size is diminishing. My advice if you're like me and think there's no need for the Effaclar Duo in your routine because you only suffer the odd break out is definitely give it a try, I'm convinced you'll find that those random blemishes become a thing of the past. Don't expect instant miracles, stick with it and in a few weeks you'll see the results and wonder why you hadn't tried it before. For me this is definitely a hero product and an unexpected one at that. Usually I wouldn't take something like this on holiday because I'd assume I could live a week or two without it but let me assure you there's no way I'm leaving this baby behind when I go on my travels next month. Are you a fan, let me know. I'm so impressed I've never seen my skin so clear!